FIREWEED ZINC LTD. (TSX-V: FWZ) is pleased to announce that it has signed a purchase agreement with Teck Metals Ltd. a subsidiary of Teck Resources Limited (TSX:TECK.A and TECK.B, NYSE: TECK), to acquire the Nidd Property on the western extension of the Macmillan Pass Zinc Project in Yukon, Canada. 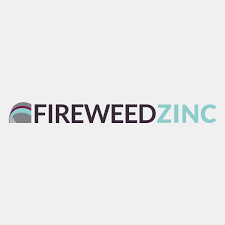 Fireweed Zinc is a public mineral exploration company focused on zinc and managed by a veteran team of mining industry professionals. The Company is advancing its large 544 km2 Macmillan Pass Project in Yukon, Canada, which is host to the 100% owned Tom and Jason zinc-lead-silver deposits with recently announced Mineral Resources and a PEA economic study (see Fireweed news releases dated January 10, 2018 and May 23, 2018 respectively and reports filed on www.sedar.com for details) as well as the Boundary Zone and End Zone which have significant zinc-lead-silver mineralization drilled but not yet classified as mineral resources. The project also includes option agreements on other large blocks of adjacent claims (MAC, MC, MP, Jerry, BR and NS) which cover exploration targets in the district where previous work identified zinc, lead and silver geochemical anomalies in critical host geology.